As my time on the executive board of the Gamma Mu chapter of Alpha Kappa Psi comes to an end tomorrow, I’ve been reflecting on some of the memories it gave me. There were many ups and downs in the leadership experience but it was truly a great opportunity to become more involved in my fraternity. In my role as Vice President External I oversaw 10 committees, including: Alumni, Community Service, Efficiency, Faculty, Field Trip, Fundraising, Philanthropy, Professional, Public Relations, and Regional Relations. 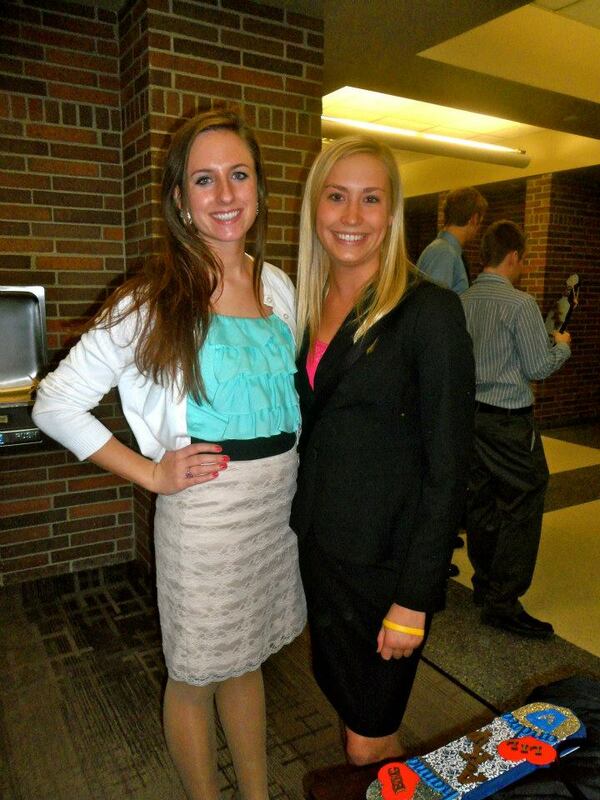 Many of these committees relate back to values that I saw in joining AKPsi. In the past year I strived to provide the best opportunities I could to the brotherhood, revamping the calendar by adding more opportunities for community service and trying to diversify the professional events. Alpha Kappa Psi recognizes five core values, each of which have shaped who I am as a brother and will continue to in my last active semester. 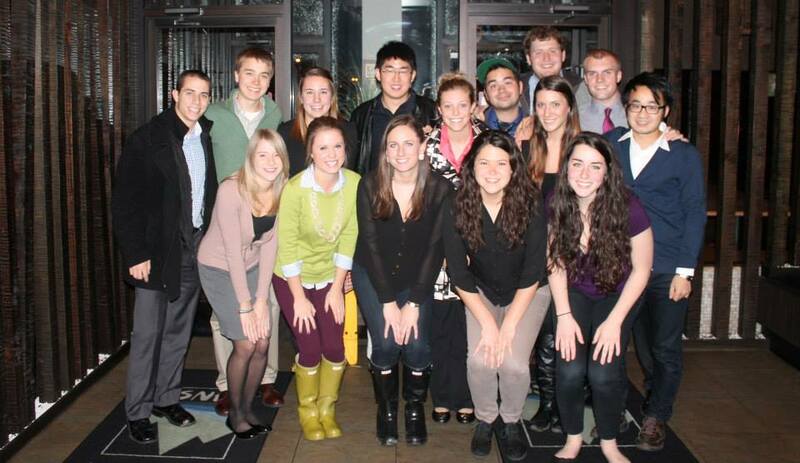 Brotherhood: I have made some of the greatest friends in AKPsi, especially my pledge class, Fall 2011. I’ve bonded with people I would have otherwise never met. I’ve kept in touch with alumni who now live as far away as China and Zimbabwe. In addition to my own chapter, I have made friends across the country in other chapters. By attending the Principled Business Leadership Institute in Chicago last February, I met hundreds of brothers in surrounding regions. While interning in NYC I had dinner with a group from the NYU chapter. This past September I networked with executive board members at other chapters in Michigan and surrounding states, who I now keep in touch with. I’ve even met up with AKPsi brothers who are studying public relations and also attended the PRSSA National Conference in Philadelphia. Wherever I go in life I will always have hundreds of brothers with the same goals and perspective I do and I can’t wait to join an alumni chapter. Knowledge: Everything I know about AKPsi was through learning. Alumni taught me so much about the fraternity’s history while pledging and continually about professionalism. I learned from other chapters at officer training and national leaders at conferences. It’s awesome to pass this down to future pledge classes and leave a legacy. Integrity: The role of integrity – being honest, ethical and fair – has transferred over to all aspects of my life. As a senior, I finally feel like I know what I’m doing since my days as an underclassman and have the experience and happiness to prove it. Service: I’ve participated in numerous service opportunities through neighborhood cleanups with the Greek system, can drives, painting in the community, helping with shelter animals at the humane society and more. It was an incredibly rewarding experience to also plan our annual charity golf outing and raise more than $1,800. Unity: As with brotherhood, I feel so connected and close with all of AKPsi. While it took up a significant part of my life and always will, it was well worth the investment of joining – both in time and money. I can’t wait to see the future of business leaders, myself included. As I finish my last active semester as a general brother I wish the new executive board the best of luck and thank the brotherhood for allowing me to serve as a leader!